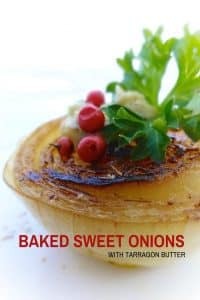 Baked Sweet Onions Recipe | Simple. Tasty. Good. Onions are a highly underestimated vegetable if you ask me. These baked sweet onions for instance are such a great side dish. Once you’ve prepared them, you’ll just wonder why you don’t do that more often. One freaking onion can be so delicious… Especially when they got that caramelized sear on them. I like to garnish them with a flavorful little something on top, tarragon butter this time. I also like to use fresh goat cheese and thyme. Just pop the baked onions and cheese back under a hot grill for a minute. Heavenly. 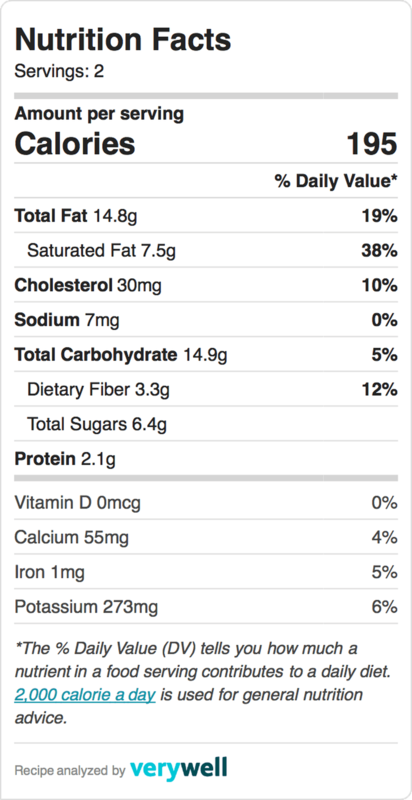 Love onion recipes? Then also check out my other roasted onion recipe: red onions in port wine! Peel the sweet onions. Trim both sides and then slice them in half lengthwise. 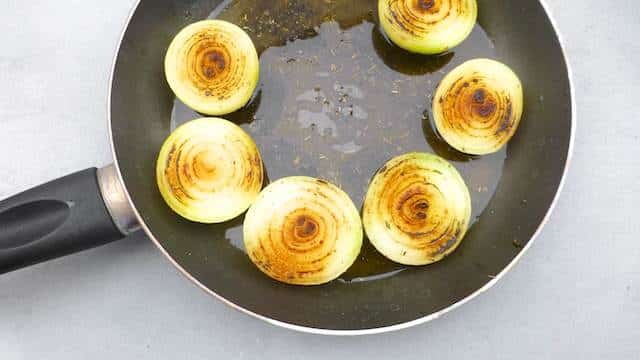 Place them cut side down in a medium non-stick pan. Don’t add any oil or butter yet. Place the pan over high heat until hot. 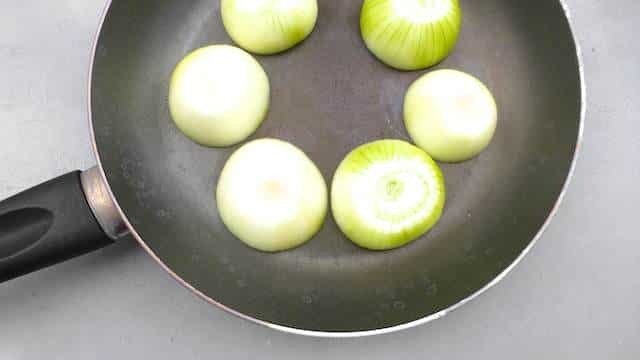 Let the onion halves sweat and caramelize in the hot pan for 4 to 5 minutes. Then flip them over. They should be nicely golden brown. Pour in the vegetable stock and the olive oil. Season with a pinch of pepper and add the dried herbs as well. Put a lid on the pan and let the onions cook in the stock over medium-high heat until the stock has more or less disappeared. Then take the pan off the heat and transfer the onions to a baking tray. Cover with some tinfoil to prevent them from burning. Bake the onions in a preheated oven at 356°F (180°C) until cooked on the inside. Cooking time depends on how large the onions are. The little ones I used took 30 minutes. 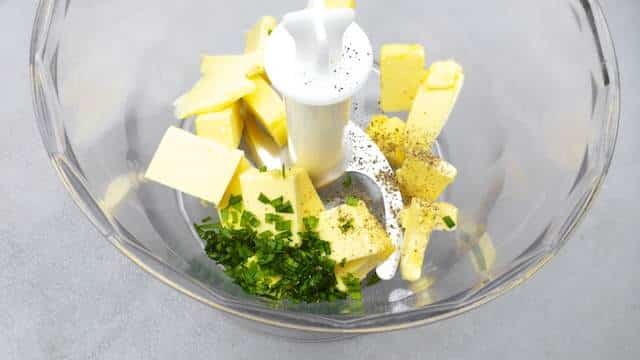 In the meantime add the butter and the fresh tarragon to a clean blender. Season with pepper and salt. Pulse into a creamy mixture. Check the seasoning and add extra pepper or salt to taste if necessary. Right before serving, place the baked onions on a serving dish and top with the tarragon butter and some pink peppercorns. Serve hot.